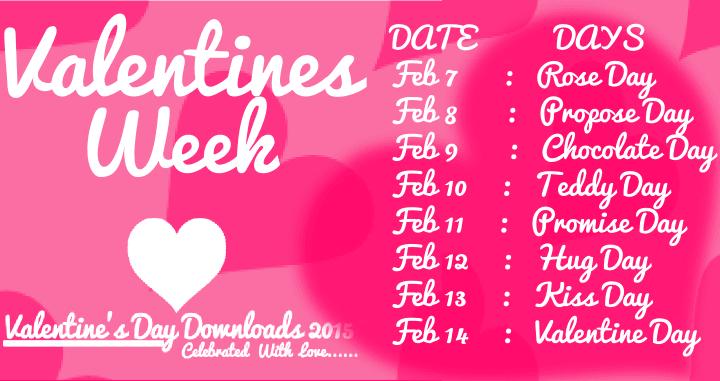 Valentine Week List 2019 Dates – Valentines Day Week Celebration Days Schedule: Valentine’s Day is the Day of love when people celebrate their love. The celebrations start long ahead before the actual Valentine’s Day on the 14th of February. 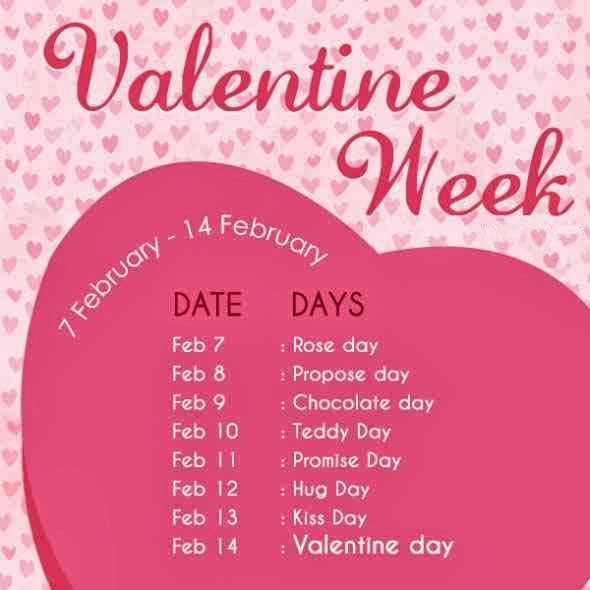 Valentine’s Day week starts with the rose day on the first day that is 7th February, followed by Propose Day on the second day when people propose their love. 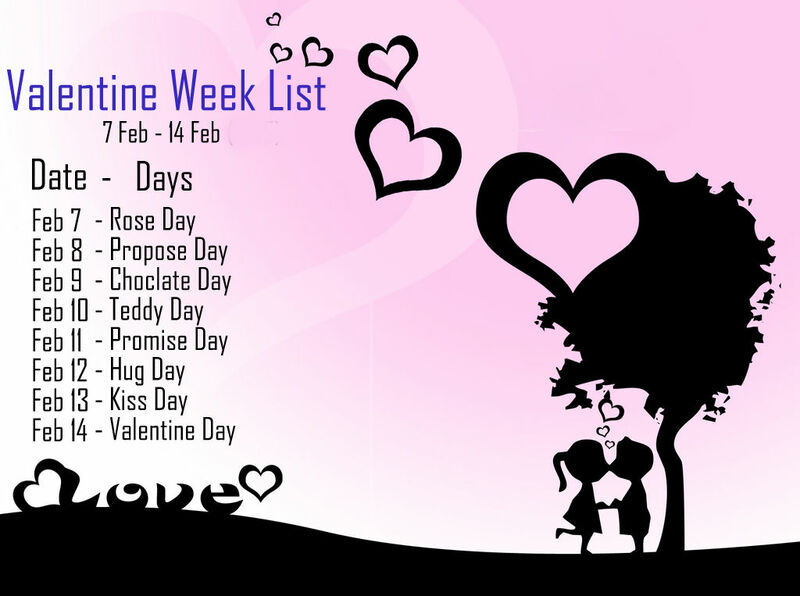 The third day is the Chocolate day, then Teddy Day, Promise Day, Hug Day, Kiss day and then the big day Valentine’s Day. The devoted youngsters celebrate each day of Valentine’s Day week how it is supposed to be celebrated. Gifting flowers to someone is a way to light up their day or to extend your love, warmth, and sentiments. Rose is most commonly gifted on Valentine’s Day as a gift to your loved one. There is a specific day to celebrate the gifting of rose which is on 7th February, Rose Day. Single roses or bouquet of roses are available in all the flower shops nicely decorated for gifting. 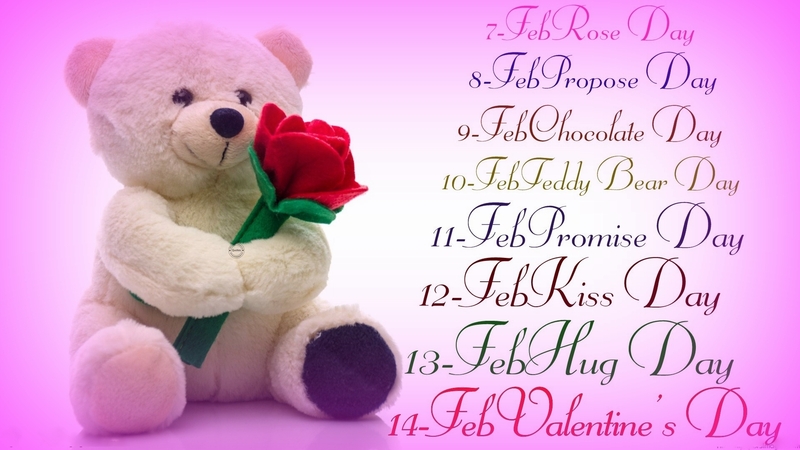 Teddy Day is celebrated on the fourth day of the Valentine’s Day week which is on 10th of February. Teddy bear got its name from the former United States President Theodore Roosevelt who was called Teddy. The couples or friends gift each other with teddy bears. Promises are meant to be kept for a lifetime. Promise day is very important for couples keeping their everlasting promises of love that they will live with each other together. They promise to love each other and stay with each other forever and ever, help each other in the times of need. The promise is all about loyalty and showing your commitment to your love. In a relationship, the compromise and commitment matter a lot. A hug is the best medicine in the world for any issue, if you are sad or worried about anything, a warm hug makes you feel better, and it assures you that you have the persons support. Often it is seen mentally depressed people get better easily with a warm hug than with antidepressant medicines. Kiss is a sweet form of expression to express one’s love. A kiss can tell a lot; it can express the emotion inside a person. It expresses love, sexual attraction, romance, affection, greeting, respect, friendship. This day the couples make sure to kiss each other and spend time with each other. Friends kiss each other as a friendship kiss. Valentine’s Day is the most important day of Valentine’s Day week. On this day young couples are seen together in all the common hangout places. It is believed that Cupid who is the son of the Greek goddess of love shoots an arrow at people who make people fall in love. This day is witnessed by couples holding hands lost in their sweet world. Couples gift each other romantic gifts such as cards, letters, wine, champagne, flowers, and other gifts. Though there is no holiday on this particular day, it is a very marked date and is celebrated worldwide. It is a treat to the couples if the Valentine’s Day falls on a Sunday so they can celebrate in their way. The restaurants and any recreational places are crowded with couples. It is a very Western concept but is well accepted in India. Sometimes distance apart, when two lovebirds cannot meet and cannot wish their beloved with the help of the internet is there to rescue them. With the advancement of social media not only Skype has video calling facilities but Facebook, WhatsApp too. Now the question arises about gifts and cakes. You can always parcel gifts for them but what about a cake? Well, all problems have a solution. You can order cakes online from a specific site and give the proper address, and they will deliver it to your beloved. You can also order a bunch of roses to be delivered with a cake. So you can be virtually being present with your beloved thanks to video calling. The heart is the most used symbol in red or pink color. Shops or restaurants are decorated with heart-shaped balloons. The cakes to be gifted to your loved ones are also heart shaped. Cupid is the son of the goddess of love, and he is presented with a bow and arrow. It is believed according to the mythology that he shoots arrows at people’s heart. People those who fall in love are said to be struck by Cupid’s arrow. The reason why sometimes the hearts are shown with an arrow passing through and through. 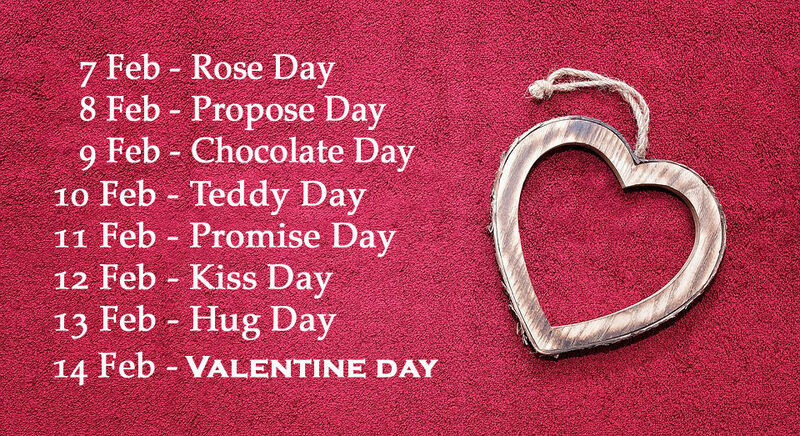 Other than the couples wishing each other and celebrating their day, people wish their friends and even parents with a happy Valentine’s Day. Though the day is thought to be for couples but on a bigger aspect this day is for anyone you love, not necessarily romantic love. Your Parents or your brother or sister anyone can be your Valentine whom you love and value. People put up statuses to wish friends or send individual messages to close friends and wish them.